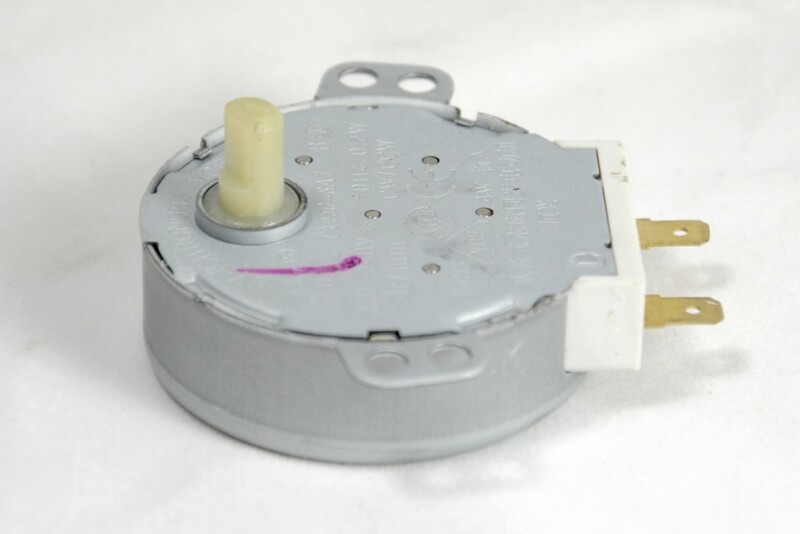 Panasonic 240 volt turntable motor, part number E63265U00XN. Diameter to flat side 7 mm. NN-V670SB, NN-V663WB, NN-V659WB, NN-T543WB, NN-T523MB, NN-T522MB, NN-T259WB, NN-ST477SB, NN-ST446WB, NN-SD278SB, NN-SD277SB, NN-SD466MB, NN-SD268MB, NN-T582WB, NN-SD258WB, NN-K855B, NN-K805B, NN-K687WB, NN-K687CB, NN-K657WB, NN-K657CB, NN-K653B, NN-K627MB, NN-K605B, NN-K358WB, NN-K354CB, NN-K354B, NN-K304B, NN-H553B, NN-H503B, NN-V659FB, NN-V659CB, NN-V653WB, NN-GT576SB, NN-GD566MB, NN-GD546WB, NN-GD376SB, NN-F663WB, NN-F653WB, NN-F623MB, NN-CT890SB ,NN-CT880MB, NN-V621MB, NN-V453WB, NN-V423MB, NN-V359WB, NN-T591WB, NN-T590WB, NN-T589WB, NN-T573SB, NN-T571SB, NN-T570SB, NN-T559WB, NN-T553WB, NN-T552WB, NN-T551WB , NN-T551CB. NNV670SB, NNV663WB, NNV659WB, NNT543WB, NNT523MB, NNT522MB, NNT259WB, NNST477SB, NNST446WB, NNSD278SB, NNSD277SB, NNSD466MB, NNSD268MB, NNT582WB, NNSD258WB, NNK855B, NNK805B, NNK687WB, NNK687CB, NNK657WB, NNK657CB, NNK653B, NNK627MB, NNK605B, NNK358WB, NNK354CB, NNK354B, NNK304B, NNH553B, NNH503B, NNV659FB, NNV659CB, NNV653WB, NNGT576SB, NNGD566MB, NNGD546WB, NNGD376SB, NNF663WB, NNF653WB, NNF623MB, NNCT890SB ,NNCT880MB, NNV621MB, NNV453WB, NNV423MB, NNV359WB, NNT591WB, NNT590WB, NNT589WB, NNT573SB, NNT571SB, NNT570SB, NNT559WB, NNT553WB, NNT552WB, NNT551WB , NNT551CB. Suitable for Bosch Models: HMT8625GB/02, HMT8656GB/02, HMT8665GB/01. Suitable for Neff Models: FD8112, FD8709, NND878, NNH5430, NNH5470, NNH5632, NNH5642 and NNQ558. Simple deinstall reinstall, worked first time, and still working!